St. Thomas University has produced many outstanding all-round athletes and two-time graduate, Stephen Horsman, is no exception. 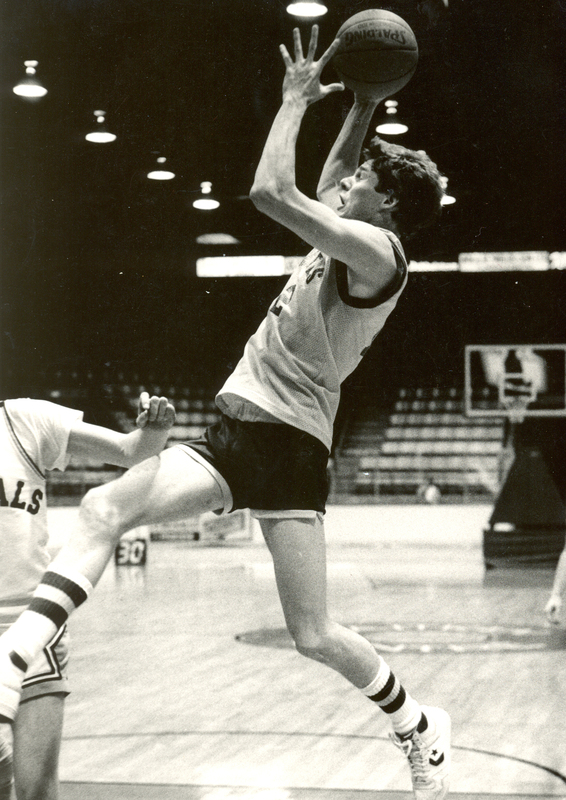 An offensive force on the court, he played six seasons with the varsity basketball team, in which the team captured the collegiate title each of those years. He played on the soccer team for three years, competed on the golf team, and coached women’s volleyball while still a student. For his efforts, Stephen brought home a lot of hardware. He was a two-time recipient of the John Frederick Walls Award for Excellence in Academics and Athletics and was named MVP of the basketball team six times. He was three-time male athlete of the year and was also awarded the Sports Governing Board Medallion for his outstanding contributions to STU Athletics. The STU Sports Wall of Fame has found a worthy member in Stephen Horsman. Along with Bambi, they are perhaps the most outstanding brother-sister combination our school has seen.